Looking after your next pair of cycling sunglasses? We all want to look good (who doesn’t?) while riding and sunglasses is a part of it, besides the bike helmet, kit, socks and shoes. Looking good is important, but protecting our eyes is equally, if not more important. When it comes to cycling sunglasses, there are several things that you’ll need to be aware of. For starters, not all sunglasses are created equally. While you can definitely use wear your casual sunglasses, I’d recommend you get a cycling specific sunglasses especially if you ride a lot. SunGod is a British sunglasses brand founded in 2013. Its main differentiation factor is giving the cyclist the ability to fully customise their sunglasses, right from their website. There’s little chance that two SunGod sunglasses would look the same. Everything is completely customisable, starting from the lens tint, icons, ear socks and frame colors. Currently, there are 4 different sunglasses model in their lineup, the Sierras, Classics, Renegades and Pacebreakers. The Pacebreakers certainly look the best on a cyclist with its extra wide lens that provides end to end eye protection. Cycling helmet brand Kask who sponsors Team Sky recently ventured into cycling sunglasses by launching the Koo brand. The Open is the first product to be launched under the Koo brand. They work perfectly with all Kask helmets to give you the sleek and pro looks. One of the main features of the Koo is its rotating arms. You can rotate the arms to tilt the angle of the lens for more airflow to prevent fogging. Out from the box, you’re provided with 2 lens, a tint and clear lens. The lenses are from Carl Zeiss and you can expect it to provide maximum clarity and contrasts on the roads. As a bonus, there are 12 color variations for you to choose from. 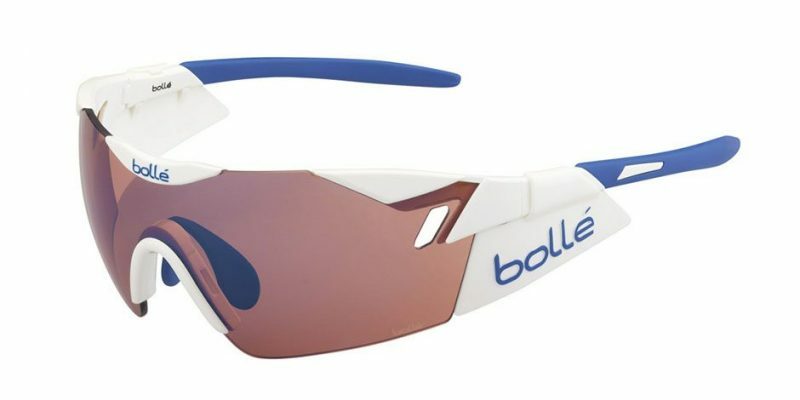 Bolle is a French company who has been around since 1888. But it’s only in the 1950’s that they’ve ventured into making glasses. The 6th Sense is their top of the line cycling sunglasses, as worn by the procyclists from Team Mitchelton-Scott. There are two variation of the 6th Sense, the regular and small, which is effectively an Asian sizing or for juniors. The lens are interchangeable while the nose piece is fully adjustable giving your the best fit. Furthermore, the nosepiece and temple grips are made of Bolle’s proprietary Thermogrip materials which give you plenty of grip especially when it’s wet. Smith Optics was started in 1965 in Idaho by Dr Bob Smith. While Smith Optics might not be synonymous with cycling, this pair of sunglasses has a lot to offer. The Pivlock Arena Max is Smith Optic’s mid-range cycling sunglasses. It comes with 2 variations; the regular and max. The max version has a wider frame and taller lens. The frameless design provides you with a maximum field of view and eye protection. A layer of hydroleophobic is treated on the lens to make them water and dust repellent and they’re also easily interchangeable. Tifosi was started in the U.S. by cyclists, Joe and Elizabeth Earley. The word Tifosi means the super-fan in Italy and no wonder Joe and Elizabeth describes their sunglasses as Designed by Cyclists For Cyclists. 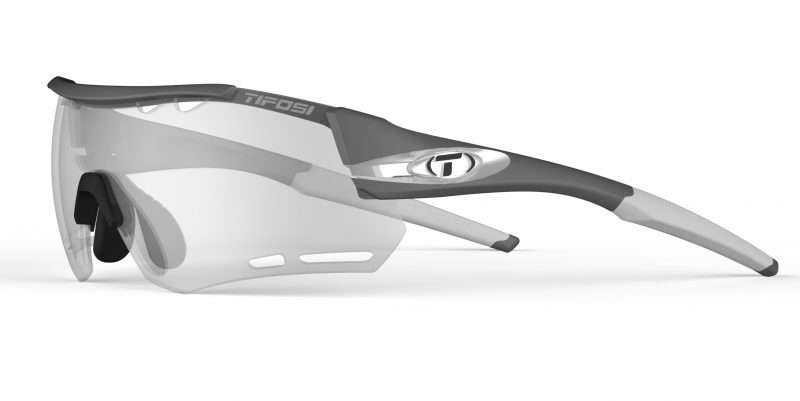 The Alliant sits atop of Tifosi’s cycling sunglasses and it comes in 5 color variants. To give you the best fit, the ear and nose pads are fully adjustable. They’re made of hydrophilic rubber, a material that increases its grip when wet. Lenses are interchangeable and of all, there are 3 lenses provided – 2 tinted and a clear one which would cover all riding conditions. The Flight Jacket is Oakley’s latest addition to its cycling sunglasses lineup for 2018. The frame features an open edge brow, which is essentially a Jawbreaker but without the top frame. This is done to maximize your upper field of view, as how Oakley puts it, especially when your head is looking down. The really unique thing about the Flight Jacket is it’s Advancer Nosebridge, which can be opened or closed (manually) to allow airflow and prevent fogging. 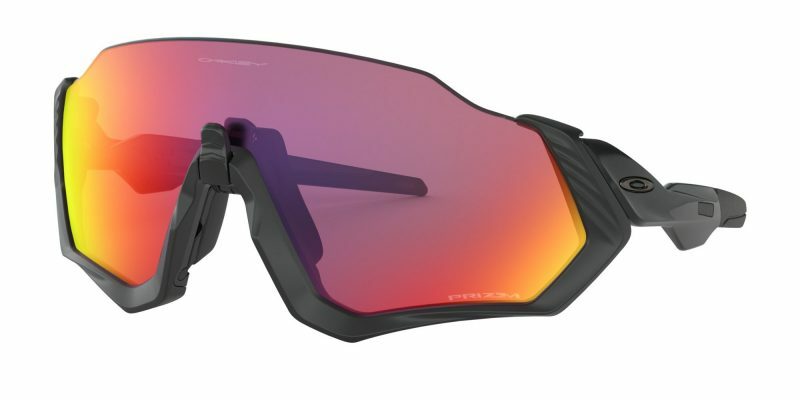 As with all recent Oakley cycling sunglasses, the Flight Jacket comes with only the Prizm Road lens. It’s specifically developed to increase the contrast of the surroundings by using clever light wave engineering methods. If you ride a lot in the dark, check out the Photochromic or the Prizm Low Light version. 100% came to prominence in recent years by sponsoring 3 times World Road Race Champion, Peter Sagan. Before making its mark in the cycling world, 100% is synonymous with motocross with a history dating back to the early 80’s. The Speedcraft is designed in California and manufactured in Italy. It features a Dalloz lens which is manufactured in France. There are 2 variations of the lens, regular and short lens (SL). The SL version is more suited towards those with a smaller face as the lens is about 0.5cm shorter than the regular ones. The lenses are fully inter-changeable. Spare lenses can be purchased separately with more than 10 choices available. Established in 2005, POC is a Swedish company that manufacturers sporting wears for skiers and cyclists. 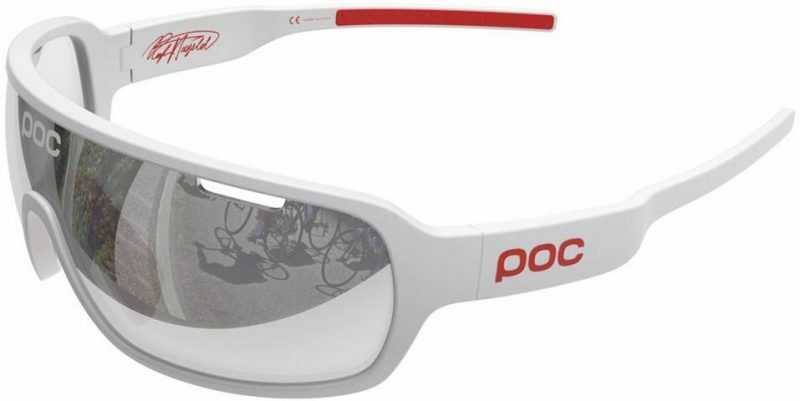 The POC DO Blade sits atop of its performance cycling sunglasses range. Featuring a Carl Zeiss lens that increases the contrast of the road surface, the POC DO Blade is specifically designed for cycling with its wide field of view. The lens is treated with a protective layer that prevents fogging, keep the dirt and grime off it. For the fashion conscious, you’ll never run out of color options as they come in 16 lens and frame color variations to match all your kits. 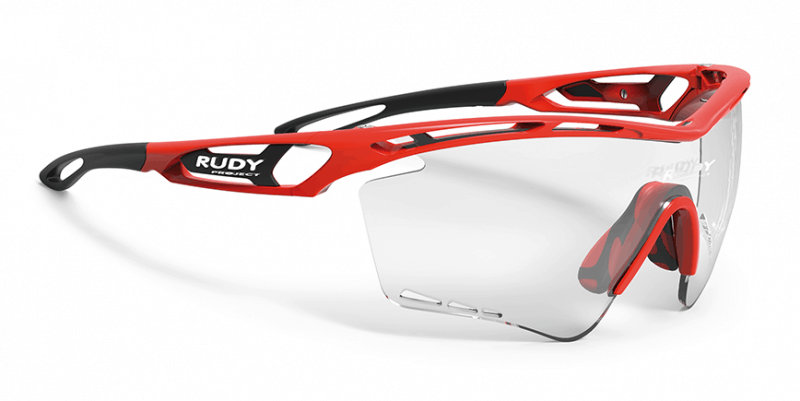 The Tralyx is Italy based, Rudy Project’s top performance cycling sunglasses. It’s worn by the multiple grand tour stage winner, Andre Griepel and multiple grand tour winner, Vincenzo Nibali. Designed to fit all types of faces, the Tralyx’s frame is fully adjustable and customisable. Starting from the nose temples to the temples, lens shapes and interchangeable lens, you’ll be sure to find a combination that fits your face perfectly. Best of all, there are 3 variations of the Tralyx to fit all types of face width, regular, slim and XL. It also comes in 16 different color options for you to choose from. Adidas might not be a first name that pops into mind when it comes to cycling. 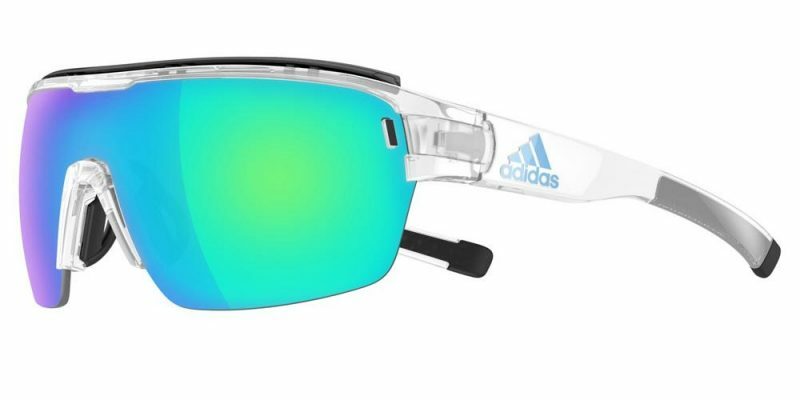 With the Zonyk Aero Pro, Adidas has managed to produce a winner. The high and wide lens design provides a maximum field of view while also giving your eyes maximum protection from the elements. It features a unique, removable sweat blocker at the top of the frame that prevents the annoying sweat droplets from dripping into your eyes when you’re going hard on your bike. A nice and thoughtful feature. They come in 10 different color variations and the lens are interchangeable depending on your riding needs. 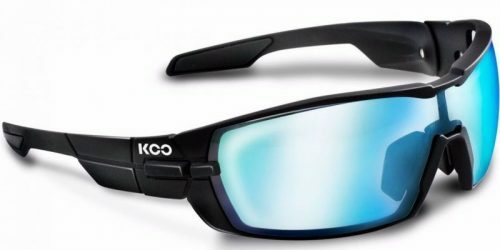 The sunglasses shield your eyes from the elements when you’re outside, like dangerous UV rays, winds that blows up debris and dusts particles, mud, rain droplets and sometimes even insects that fly right into your face. Cyclists spend a lot of time under the sun especially during the summer and hence why wearing a sunglasses is so important. If you’re wearing contact lenses, sunglasses are even more important while ccycling. It prevents tears from evaporating so that your eyes are moist and comfortable. Did you know : Up to 3.2 million people go blind yearly due to prolonged UV exposure worldwide. 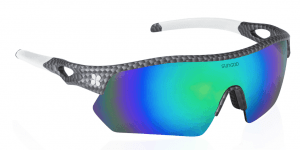 In recent years, cycling sunglasses has evolved from being a protection wear to a fashion wear. Cyclists, especially the modern ones and MAMILs are constantly up-to-date with the latest trendy glasses and cycling accessories. Everything has to match from the helmet to sunglasses, kits, socks and cycling shoes. MAMIL is the acronym for Middle Aged Men in Lycras. Procyclists started wearing sunglasses around the mid 90’s and its popularity shot through the roof after Lance Armstrong won the 1999 Tour de France wearing an Oakley M Frame. Besides acting as a protection wear, procyclists wear sunglasses to hide their sufferings on the bike from their rivals, which is obvious from their weary eyes. Nose Bridge. As with anything you wear, having a proper fit is crucial. The nose bridge should sit firmly and securely on your nose. If the nose bridge is too wide, the glasses will easily slide down and if it’s too small, you’ll constantly feel the pinching effects which will be uncomfortable. Frame Width. Cycling sunglasses are specifically designed to fully cover and protect your eyes from angles. The frames are also designed such a way that they don’t get it your way to give you a wide field of view. PRO TIP : Some brands will have an Asian Fit, Junior or Small version for cyclists with smaller faces. Ideally, you should be using a lens that suits your riding conditions. The main difference between lenses are mainly their light transmission properties, which is the amount of light allowed through the lens, their tints, and some have additional features like polarized and photochromic. Standard Lens. These are found in the majority of cycling sunglasses. They typically have a light transmission between 15% to 30%. They also come in a variety of tint colors to suit your personal preference. Photochromic Lens. These are arguably the most versatile lens from my experience. They’re also sometimes referred to as transition lens. The lens brightens and lightens according to the level of UV to suit your surroundings and have a light transmission between 20% during bright daylight and up to 70% during low light conditions. With that, you can use it for most of your riding conditions from dusk to dawn. Polarized Lens. They help to block reflected lights from the road surface, car hoods or road signboards and hence reduce the glare, making it more comfortable for your eyes. Glare is caused by horizontal reflected lightwaves. 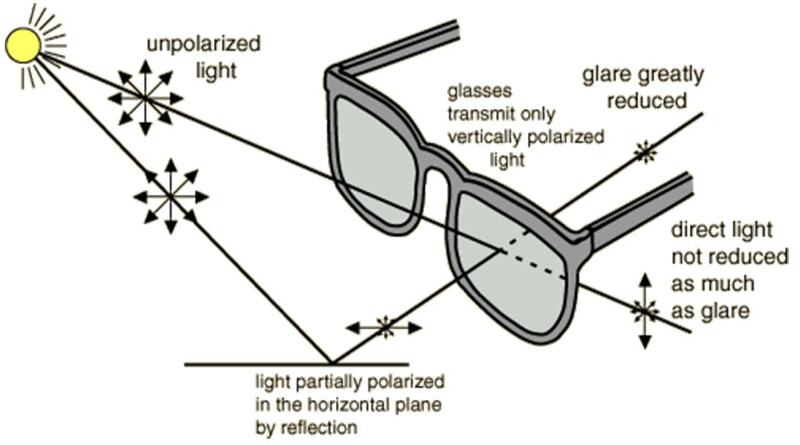 A polarized lens filters these out and only allows the vertical lightwaves to pass through. Orange/Brown Lens. 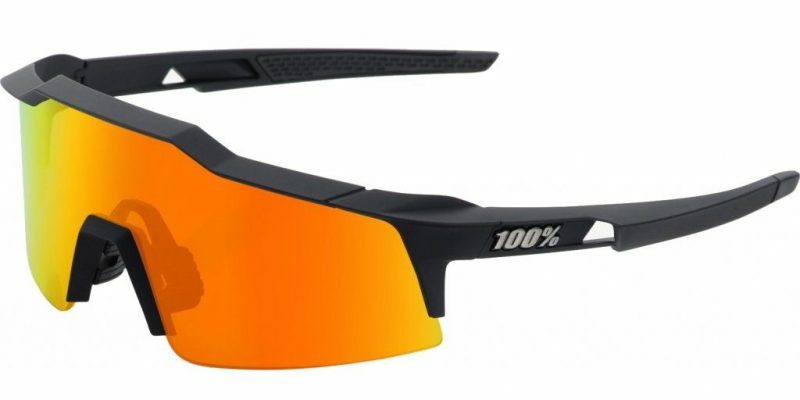 Besides clear lenses, orange/brown lenses are another popular choice for those who riding in low light conditions. The orange/brown tint helps to brighten up the road ahead of you. Clear Lens. These are meant for use riding in dark or low light conditions. They’ve a light transmission of almost 100%. PRO TIP : Photochromic lenses are the most versatile lens which could suit most of your riding conditions. Sunglass frames that support inter-changeable lens are much more versatile. You can easily swap out for a lens that suits your riding conditions of the day. Some models come with spare lens while for others you’ll need to buy them separately. PRO TIP : Take extra caution when you’re swapping out lenses, as the frame material can be thin and fragile. As you ride, heat and perspiration tend to get trapped between the lens and your face. Because there’s air flow, they get displaced and hence no fogging. But once you stopped, you’ll notice that the lens will quickly get fogged up. PRO TIP : The air vents on the lens allow for additional ventilation and breathability that prevents the lens from fogging up. Cycling sunglasses have silicone or rubber grippers at the temple and nose piece to prevent them from sliding around. The temple should fit comfortably and snugly around your head. For new sunglasses, these might feel a little tight but they’ll stretch as you wear them overtime. Some are designed to have replaceable grippers should they wear out overtime. PRO TIP : High quality grippers get even more grippy when they’re wet. 1. How to choose the best pair of cycling sunglasses? Apart from brand and design which are more of a personal preference, here are some of the features a good pair of cycling sunglasses should have. 2. Is there a right way to wear a cycling sunglasses? There’s no right or wrong way. But if you don’t want to look like a cycling hubbard, here’s how to do it. Wear the sunglasses after you wear your helmet. The sunglasses should be over the helmet straps.